Kimberly is passionate about helping people live life more abundantly. She has spent the last 22 years helping others develop healthier relationship patterns and responses in their environments. She uses humor, love, empathy, and focus to assist others to critically examine their actions and relationships with others. She develops a deep connection which allows people to experience breakthroughs and a release from negative relationship patterns. 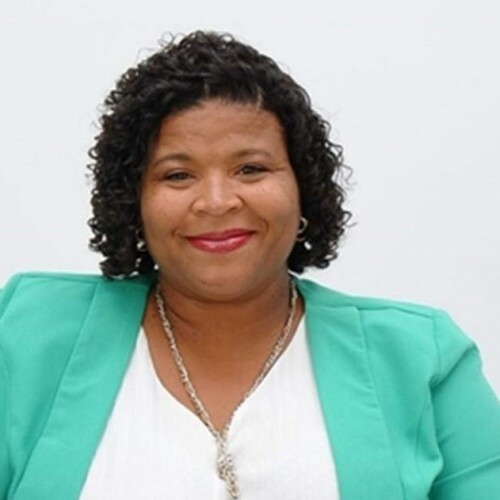 Kimberly focused her talents guiding people within the military, community agencies, group homes, private practice, corporate, and other private sector environments. Her unique style engages, energizes, and unleashes the potential and capacity of excellence in others. Her workshops are transformative and go well beyond the �Rah rah! You can do it!� mentality which novice motivational speakers use to excite everyone without providing substance and clear direction. Kimberly loves to travel with her family which includes Anthony Wilson and two teenagers. In her free time, she enjoys being silly, making her children laugh, recharging with massages, going to the beach, anything involving the ocean really (except parasailing � she is convinced that a shark will see her as a snack on a string), and Marvel superhero movies. She is an advocate for domestic violence survivors, an activist for human rights, a supporter of veterans, a diversity and inclusion expert, a Christian, and an occasional lump on the couch. Kimberly is native to Detroit, Michigan. After graduating from Cass Technical High School, she joined the United States Marine Corps. She served during Desert Storm/Desert Shield and retired in the late 90�s. While serving on active duty, she obtained a Bachelor of Arts (BA) and Master of Arts (MA) in Psychology with an emphasis in Marriage, Family, and Child Counseling from Chapman University in Orange, California. She received her Doctorate of Philosophy (Ph.D) in International Psychology, Organizations and Systems from The Chicago School of Professional Psychology. Professional memberships include: American Association of Marriage and Family Therapists � Clinical Member, American Psychological Association, APA Division 19 Military Psychology, APA Division 35 Psychology of Women, APA Division 35 Sec 1 Psychology of Black Women, APA Division 52 International Psychology, APA Division 52 Task Force 7 Clarifying our professional identity, Disabled American Veterans, Veterans Women Igniting the Spirit of Entrepreneurship Graduate, and the Rosie Network of Military Owned Businesses. Find out more about Dr. Kimberly at http://www.betterpartnerss@gmail.com.